The Xinjiang International Grand Bazaar was completed in 2003. "Bazaar" means market in the Uygur language. It plays the role of main channel of communication and commercial trading in people-to-people trading activity in Xinjiang. With a total area of 100,000 square meters, it is the largest bazaar in the world. The International Grand Bazaar focuses on peculiar features, transcendental posture and stands proudly in people-to-people trading activities. 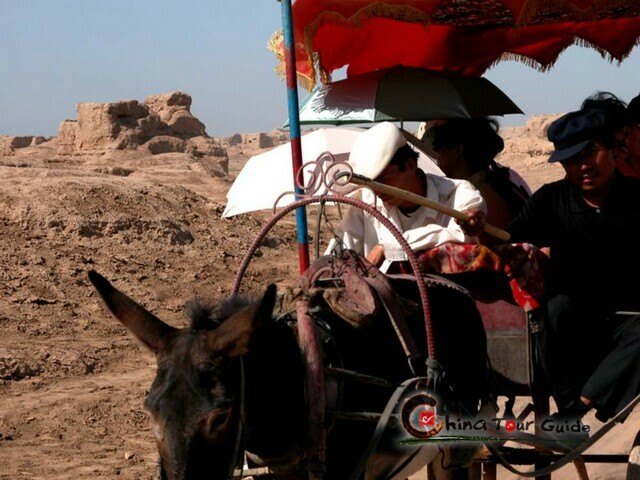 It is a window leading Xinjiang to the world and a door towards tourism and trade. Of traditional Muslim style, it always hangs thick ethical elegance. Exterior of International Grand Bazaar. Local food and products in the Bazaar. The buildings with distinctive ethical and folk features, such as No.1 Sightseeing Tower, Erdaoqiao Mosque, Banquet-Performance Grand Theatre, Merry Square, Sunny Pedestrian Street, emit holy lightness of human wisdom and always makes you forget to return. The International Grand Bazaar is a must to get a feel for the local life. 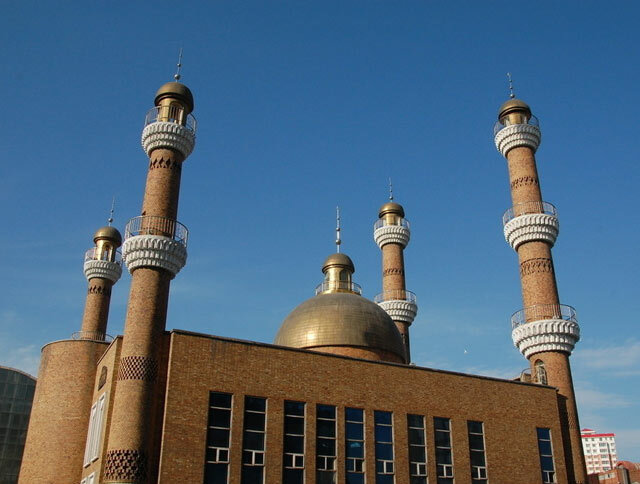 It is a magnificent commercial complex with a strong Islamic architectural influence that includes a banquet hall, a food court, a sightseeing tower, an open-air stage, and a mosque. International Grand Bazaar has formed a structure of "Grand Tourism" merging tour and sightseeing, ethical trade, food and beverage, ethical artistic shows and retail into a single whole. Shop in the International Grand Bazaar. 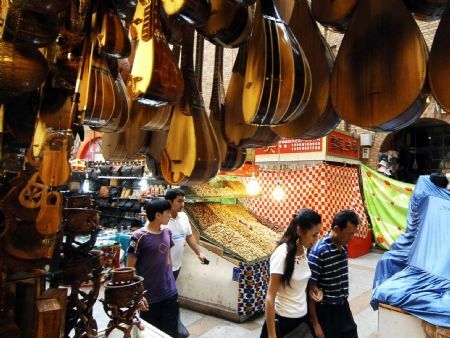 Music instrument shop in International Grand Bazaar. 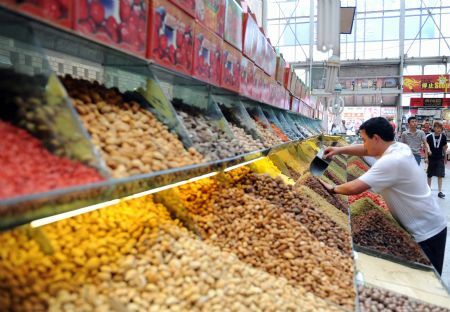 It is the biggest distribution center of ethical handicrafts in Xinjiang, the biggest trading center of ethical carpet center, and well-known dry fruit center, jade article center, snack center and ethical carpet. At the same time international top commercial groups and famous brands here attract people flow and promote prosperity. 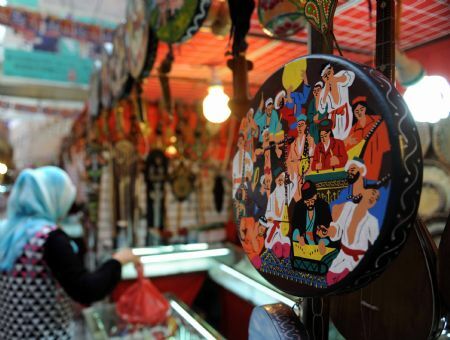 The International Grand Bazaar is the artistic palace gathering various ethical cultures including Han, Uygur, Hui and Kazak. It combines the art of songs and dances of Xinjiang and culture of Chinese feasts as a quantum jump. The Banquet-Performance Grand Theater can accommodate 1,000 people, make them enjoy cuisine of the Western Region, and at the same time appreciate ethical culture full of fascination. The International Grand Bazaar Ensemble of Song and Dance is the largest one of its kind in Xinjiang, possessing several hundred minority artists and dancers with marvelous shows gaining many awards and well received at home and abroad. It is a great place to get interesting handcraft items like ethnic clothing, embroidery, and jewelry. 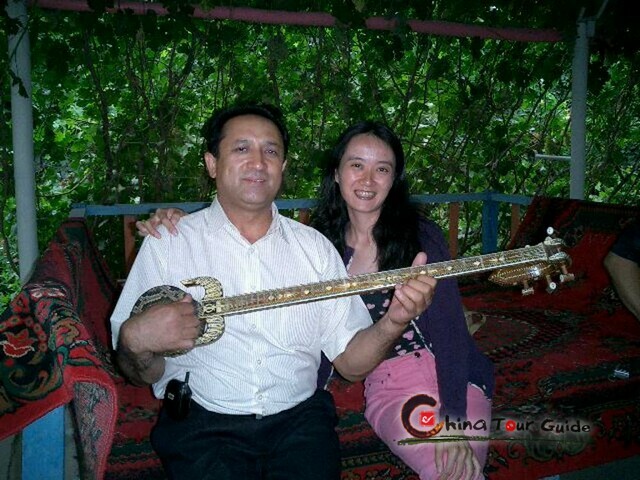 Other handicrafts include jade carvings, Kashgar carpets, exotic knives, woodcrafts, and ethnic musical instruments. All are handmade and many can be found at very cheap price which makes the International Grand Bazaar a fun place to shop for something a little special. Various fruit such as grapes, Hami melon, almonds, pomegranates, figs, peaches, apples are available here. 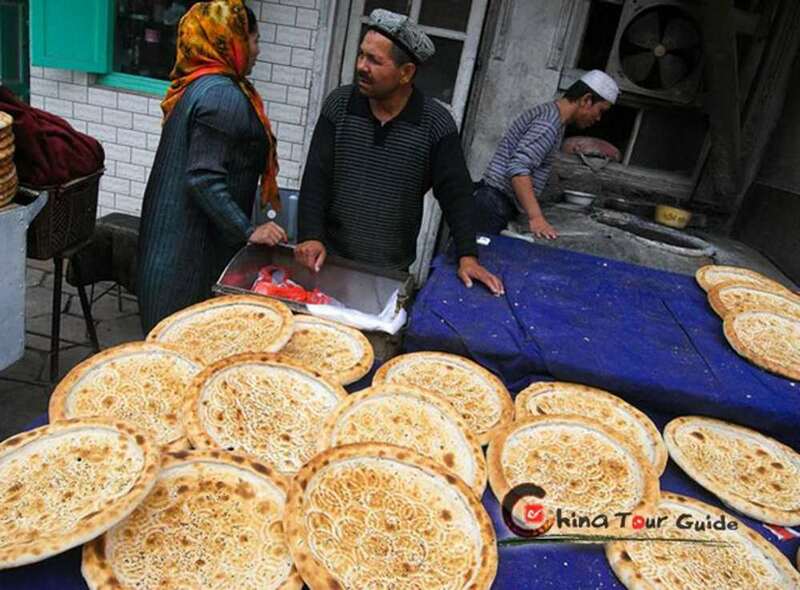 Please click " " to add the attraction in you favorite list, let us plan a private Xinjiang Tour for you.